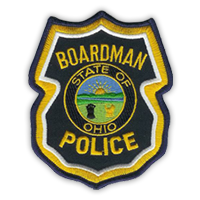 The Boardman Police Diversion Program originated through the Juvenile Bureau of the Boardman Police Department. 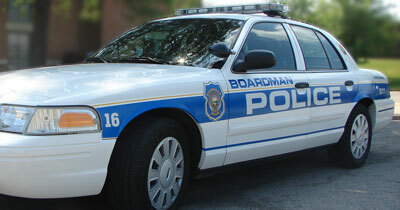 Upon application in 1991, the Governor’s Office of Criminal Justice Services awarded the Boardman Police Department a step-down grant in the effort to deter delinquent adolescents from the judicial system. Since 1996, Boardman Township has been funding the Juvenile diversion Program. The Diversion Program’s main objective is to divert young people from the formal criminal justice system. Rendering the youth’s case at the local level alleviates the need for a formal court record. Alternative courses of action, such as diversion programs, have been shown to be in the best interest of both the youth and their families. Boardman Township youths ages 7 to 17 who are unruly and/or first-time misdemeanant offenders qualify for this program. Select lesser felony offenders may also qualify. Family members of participants are also included in the program. The Boardman Police Department provides victim assistance and referrals for victims of domestic violence in cooperation with the prosecutor, courts and local social services agencies. Learning to say “No” and not feeling compelled to go along with the crowd is the essence of D.A.R.E., an anti-drug program started in Ohio in 1987. More information on D.A.R.E. This eight-week course helps participants learn how to recognize their anger responses and how to deal with this strong emotion more effectively. The group experience allows for positive peer interaction and reinforcement of the new skills being learned. Through a collaborative effort with the Federal Correctional Institution in Elkton, Ohio, the Boardman Police Department hosts inmates as guest speakers every other month throughout the year. These inmates present the realities of prison life as well as how they are being held accountable for the criminal actions they took prior to incarceration. This program is open to diversion participants and their families throughout the county. This program consists of a theft behavior assessment, retail restrictions, community service/work program hours, and a workshop that shoplifting offenders must attend. The workshop consists of two classes that address the consequences/costs of theft to the offender, business and community. It also addresses decision-making skills, personal motivations for theft behavior, and a plan to stop this behavior. All offenders are enrolled in the Diversion Program for additional accountability and supervision. Through a guided discussion with a police facilitator, victims are able to confront juvenile offenders with the emotional and financial costs of their offenses. This process is used with property offenses such as theft and acts of vandalism. The victims and offenders must both be willing to participate in this process.